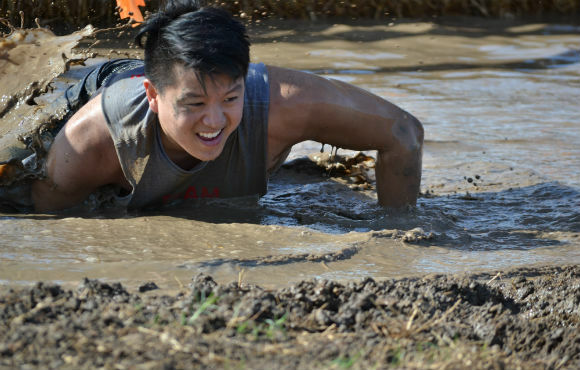 Before I started obstacle course racing, I truly did not like running. In fact, the only reason I started running again after quitting my ninth grade cross country team many years ago was to train for an obstacle course race. I chose Tough Mudder as my first obstacle course race after hearing from friends who had done it before about just how challenging--and fun--it really was. Now, months later, I've not only signed up for more obstacle races, I've also completely fallen in love with running again. Read on to learn why a Tough Mudder is exactly the obstacle-crushing, majorly motivating, confidence-boosting challenge you've been looking for. 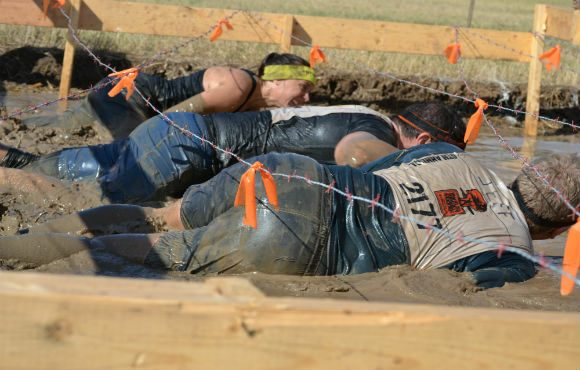 One thing that separates Tough Mudder events from other OCRs is that it's considered a challenge, not a race. There's no timing system and no special groups for "elite" or "competitive" runners. There's just your heat made up of a hundred strangers, all trying to get to the finish line in one piece. That means there's no selfishness on the course. If you see someone who needs help over an obstacle, you stop to help them, because your time doesn't matter. And when you finish the challenge, you won't measure success by your personal best or your friends' results, but you will feel accomplished (and exhausted! ), whether you completed the half (five miles) or the full (10 miles). On the other hand, if you're looking for a more competitive option, you can always sign up for a competitive (read: timed) race wave and get first access to the course, Tougher Mudder exclusive challenges, unique finisher gear, an official course time, and the ability to win prize money. The thick mud, rugged terrain and intense obstacles will push you to your limit. 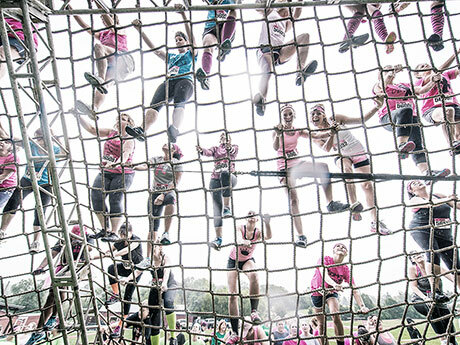 If you've never run an obstacle course race before--or even if you have--Tough Mudders are a challenge every single time. And isn't that why we race, anyway? For the love of the challenge! Well that, and being talked into it by your friends, family or co-workers, of course. 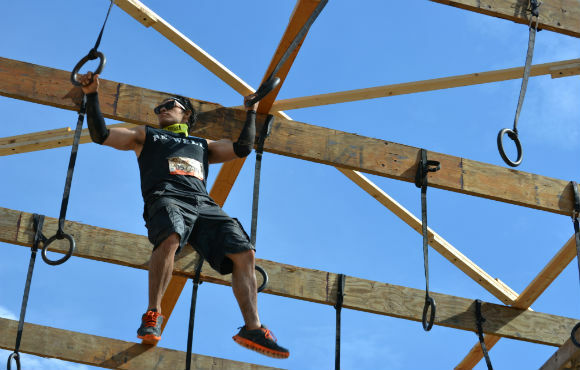 Unlike other races where you're meant to tackle everything solo, Tough Mudder includes obstacles that must be completed in pairs or even as a whole group. I started my race with one partner, but we ended up picking up a new friend who had left her group in the dust--and boy was she clutch when we were asked to piggyback across a sand pit. No way could I have completed it with my 250-pound partner! At the end of the race, she was in our victory pic, and we even exchanged numbers so I can call her for the next one. 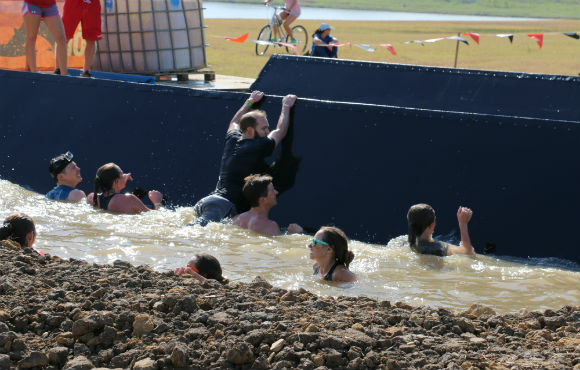 Camaraderie and teamwork even reign supreme in the competitive wave—I overheard a group telling war stories at the post-race party that included a racer pulling a stranger up and over an obstacle to keep them in the game. In the words of legendary professional OCR racer (yes, that's a thing) Hunter McIntyre, "Life's short. Most days you're wearing clean clothes with perfectly pressed pants and shirts, so there's nothing wrong with getting sand in your shoes and mud in your eyes every once in a while. You look dirty, but you feel fantastic." Sure, it's easier to run a race without being covered in mud, but once you get past the initial "ick" factor, it's actually a ton of fun. Plus, your finisher picture will be just that much more awe-inspiring. Used to skipping the gym in favor of the open road? Training for a Tough Mudder is a great motivator to hit the weights. When I was in the middle of training, I hit the gym at least three times a week to work on things like my upper body strength, grip strength and explosive jumps, all of which came in handy on race day. Tough Mudder hosts races all over the world. While I chose to race just 20 miles from my home, you can turn your big race into a weekend getaway to a destination in the U.S., Canada, the U.K. or even Australia! 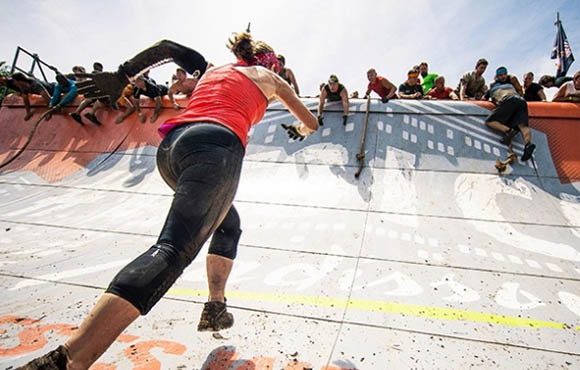 Once you've tackled a Tough Mudder, your next road race will feel like cake. You'll really learn to appreciate the ease of running unencumbered by obstacles and mud in your shoes (not to mention everywhere else). Completing a Tough Mudder will make you feel confident and ready to take on your next race, whether it's a 5K, 10K or a full-blown marathon. Or heck, maybe you'll stick to the badass OCR life forever! 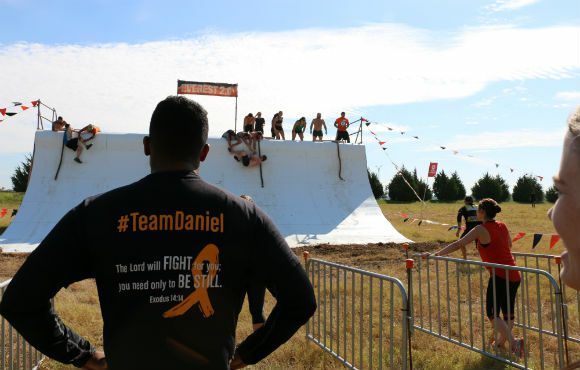 This year's addition of the Tough Mudder 5K will make that next "fun run" actually feel—well, fun—after conquering the same distance plus 10 best-in-class teamwork obstacles.